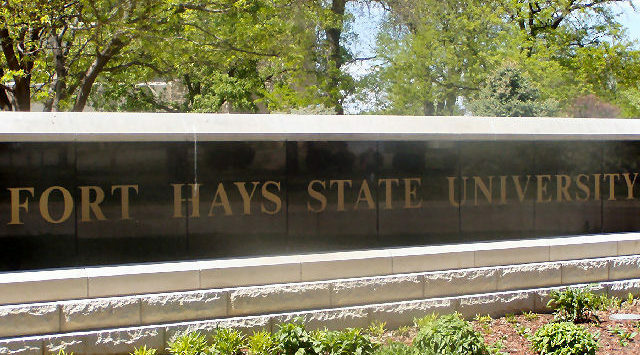 Business majors at Fort Hays State University will benefit from a $1.2 million gift. According to the school , the Gerald E. and Mary Ann Yeager Business Scholarship fund is endowed, meaning it will go on in perpetuity, supporting Fort Hays State students for generations to come. “They did very well in life, and they wanted to share it with various places. Fort Hays State was one of them,” said Judy Boor, Mary Ann Yeager’s younger sister. Both graduates of Bazine High School in Ness County in the 1950s, the Yeagers continued their education at then Fort Hays Kansas State College. After graduation from FHSU, Gerald enjoyed a long, successful career with Equitable Real Estate in Denver and San Francisco, retiring as vice president after 29 years with the company. Mary Ann taught business classes at Fort Hays State while her husband completed his bachelor’s degree, then worked as a budgetary analyst for Standard Oil of California (now known as Chevron) for many years. “I think it’s absolutely wonderful that they gave this to the business college,” said Leona Gallion from Hays, a good friend of the Yeager couple during their college days. Gallion kept in touch with the Yeagers through the years before their death. Mary Ann Yeager died in 2015, and her husband died in 2016. Gallion said she wasn’t surprised when she learned of their generous gift to FHSU. Dr. Mark Bannister, dean of the W.R. and Yvonne Robbins College of Business and Entrepreneurship, agreed. The Yeagers were long-time donors to the FHSU Foundation before establishing an endowed gift. Scholarships from the newly endowed fund totaling nearly $20,000 were committed to students for the first time this academic year. The scholarships have already helped students, such as Zach Rundle, a junior from Hays. “Giving that big of scholarship puts a lot of trust in the student to be serious about school,” said Rundle, who received one of seven $2,500 awards. There were two smaller scholarships given as well. A year ago, Rundle – an informatics major with a minor in management – was working nearly full time while going to school. Emily Prine, a sophomore business education major from Hays, agreed. Landon Erway, a finance major from Larned, was checking out opportunities to play baseball after high school while working on a business degree in finance. He was trying to decide which college to attend, then last spring received an email from FHSU that he had received a Yeager Business Scholarship. That clinched the deal for Erway. The scholarship is renewable, provided a student maintains a 2.5 GPA. Dwight Filbert, a nephew of the Yeager couple and one of the executors of their estate, was pleased to hear the recipients of the inaugural Yeager scholarships were appreciative of the assistance they will get in gaining an education.